As shrinking congregations increasingly struggle to maintain aging religious properties, three central Indiana churches are working to restore and protect their historic buildings. The distinctive twin steeples of St. Mary’s Catholic Church tower above Indianapolis’s Lockerbie Square neighborhood. 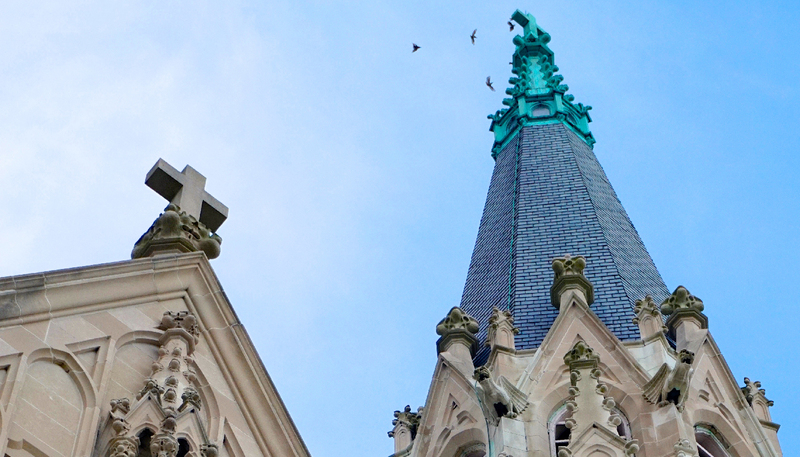 The spires have become the emblem for the congregation’s “Save the Steeples” campaign to raise $2.1 million for repairs to the 1912 building. Like many historic churches, St. Mary’s faces significant challenges in maintaining its large aging building. With shrinking congregations and reduced funding, historic houses of worship increasingly suffer deferred maintenance and failing systems. However, St. Mary’s is one of several congregations in central Indiana fighting the trend, taking on major initiatives to preserve their spiritual homes. 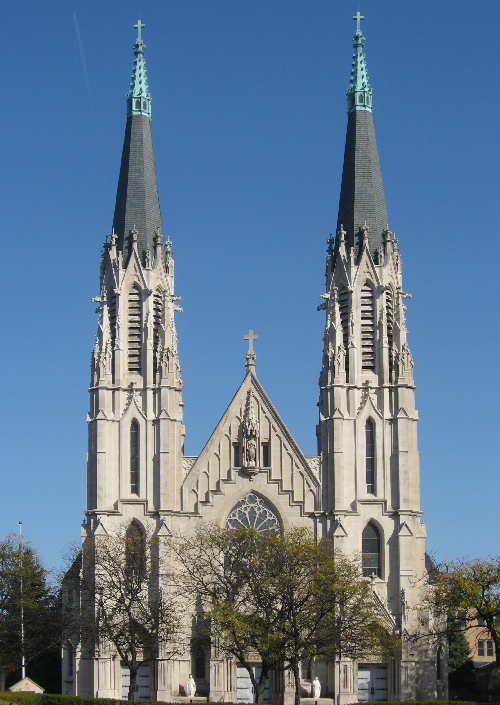 Designed by German-born architect Hermann Gaul as an homage to the cathedral in his native Cologne, St. Mary’s is recognized as one of the best examples of Gothic Revival architecture in the Midwest. Bishop Francis Chatard and the Reverend Anthony Scheideler directed construction of the church to serve the city’s German immigrants, conducting services in German until well into the twentieth century. Today, the church continues to serve Indianapolis’s immigrant community by offering a Mass in Spanish. 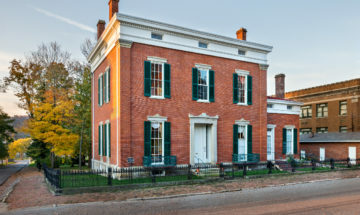 The church’s campaign focuses on securing the building’s limestone exterior against leaks and making interior repairs, but the attached rectory remains in jeopardy. Built before 1887 as a Queen Anne house, the building was remodeled in the early twentieth century to match the church and attached to the main building by an enclosed limestone passage. 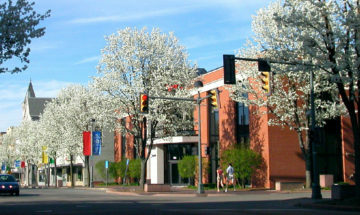 To donate to the Save the Steeples campaign, visit www.saintmarysindy.org. Farther north in Indianapolis’s Meridian-Kessler neighborhood, another congregation is tackling restoration of its historic building. Chicago architect Henry J. Schlacks took inspiration for St. Joan of Arc Catholic Church from two basilicas in Rome. The main façade and sanctuary are inspired by St. Paul Outside the Walls, while the 140-foot-tall bell tower is based on the campanile of the Church of Santa Pudenziana. 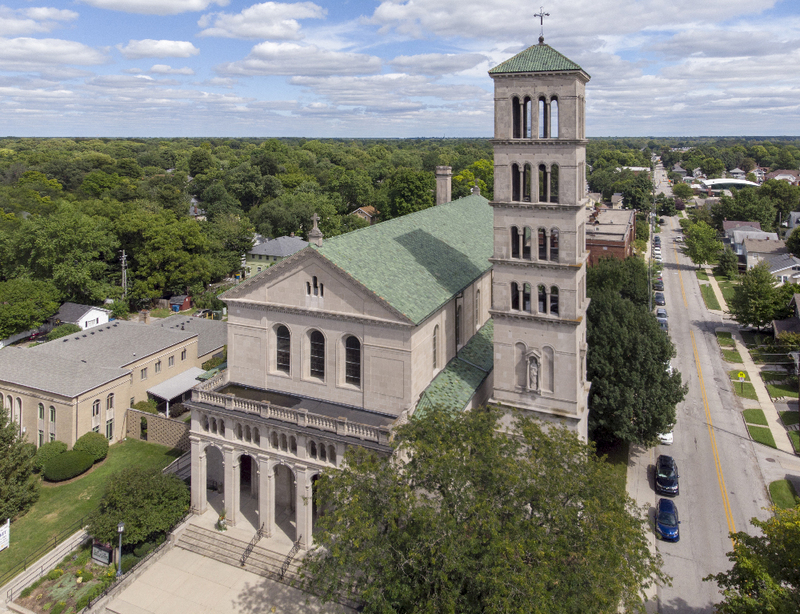 Built in 1927, St. Joan of Arc became one of the first and most notable parishes in Indianapolis to achieve a racially integrated congregation after World War II, and it continues to take pride in the diversity of its worshippers. Today the congregation is raising money to restore the sanctuary and install a special HVAC system that will help prevent damage to the sanctuary’s Stations of the Cross paintings by M.L. Lanninger of Munich. With help from Indiana Landmarks and Sacred Places Indiana, the congregation secured a grant from the National Fund for Sacred Places, a program funded by Lilly Endowment of Indianapolis and administered by the National Trust for Historic Preservation and Partners for Sacred Places. The parish is in the process of raising local matching funds for the grant through a capital campaign. To donate, visit sjoa.org. In Columbus, North Christian Church participated in our Sacred Places Indiana program in 2016, receiving financial support and training to grow its membership and stay in its landmark building. But the iconic church landed on Indiana Landmarks’ 10 Most Endangered list last year, when its declining congregation – just 60 members — found itself unprepared to confront a sudden large-scale repair. 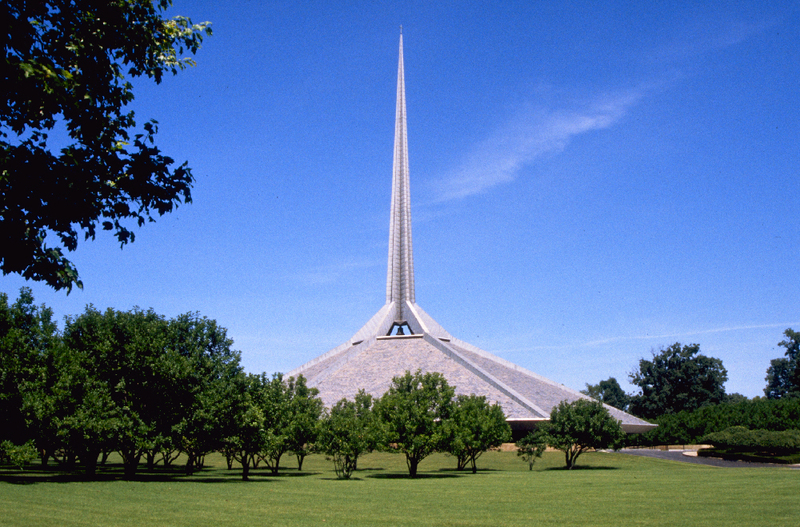 Eero Saarinen’s groundbreaking design for the 1964 church included a custom underground air conditioning system to supply cool air without intruding on the building’s spectacular modern interior. When the original AC unit failed in 2018, contractors estimated it would take $500,000 to replace the system with a new custom-made underground unit. With temperatures in the sanctuary reaching more 90 degrees last summer, the situation looked grim. We helped the church secure a grant from the National Fund for Sacred Places for HVAC repairs, and when creative solutions resulted in lower costs for AC updates, the congregation was able to use the remaining funds for other critical repairs. With additional support from the Disciples of Christ, the church has also been able to hire a full-time pastor, and the congregation is growing again, with membership and baptisms on the rise. For more information on our Sacred Places Indiana initiative, contact David Frederick, dfrederick@indianalandmarks.org. Join us for this year’s Rescue Party on April 27, and you’ll have a chance to bid on unique excursions to fascinating historic destinations. Historic Madison, Inc., wins our 2019 Cook Cup for Outstanding Restoration for its four-year transformation of the iconic Shrewsbury-Windle House. 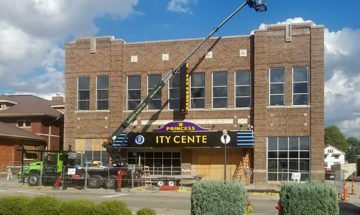 After nearly 20 years of vacancy, Rushville’s Princess Theatre reopened its doors thanks to local perseverance and the state’s Stellar Communities program. Stay up to date on the latest news, stories, and events from Indiana Landmarks, around the state or in your area.